Last edited by 66Sprint; 04-15-2019 at 03:37 PM. Is the '73 what is on the title? 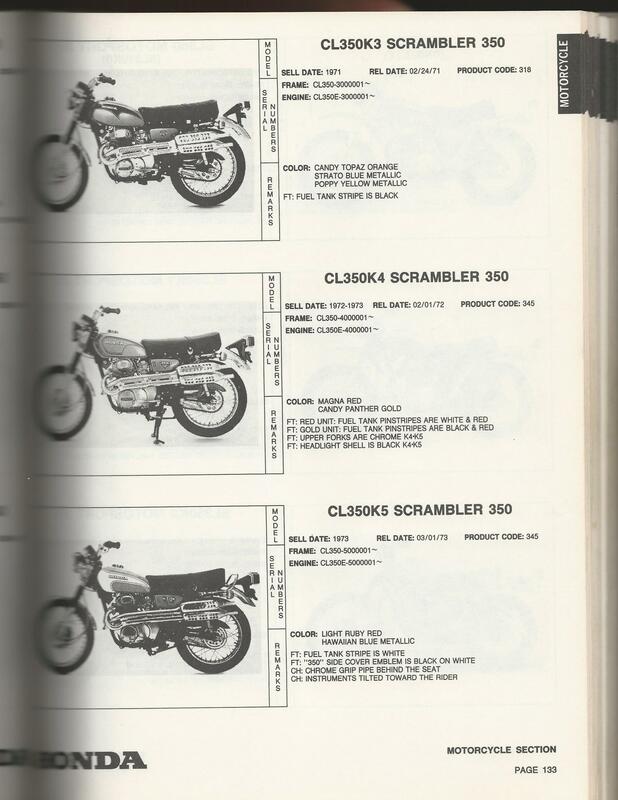 in the '70's the calendar year the bike was sold in/delivered to the buyer is what usually appears in the title not necessarily the Model year. Check the Serail Number Plate on the head tube for the actual production month/year. 1972 CB 350 K4 Red - Now a Happy Rider ! ! Its a 73 on the title. I'll look at the frame later today.